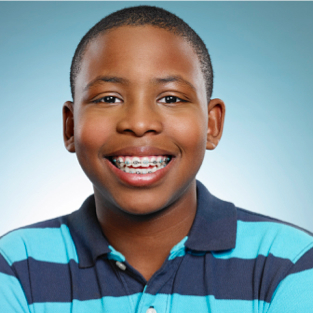 You will notice that it requires more time to keep your teeth clean with braces. Food tends to get stuck in the brackets and between your teeth, and can only be removed by brushing and flossing. Floss every day. In order to get the floss under your wires, use floss threaders. If plaque remains on the teeth for any length of time, it will leave a permanent white scar on the surface. Brushing after meals should become part of your daily schedule. Make sure to use the special fluoride gel prescribed by your orthodontist every day. It will not only prevent cavities, but also help prevent decalcification around the brackets of your braces. A healthy diet means a healthy body, healthy teeth, and a better result for your orthodontia. Please do not eat hard foods: nuts, ice, crisp taco shells, whole apples and carrots (cut them into pieces first), hard French bread crust and rolls, spareribs, corn on the cob (cut the corn off the cob before eating), and popcorn. These foods risk breaking brackets and wires. Also beware of nail biting and pen or pencil chewing habits, since these can damage your braces. Do not eat sticky foods: taffy, caramels, bubble gum, and sticky candy of any sort. A small piece of sugarless gum occasionally is acceptable. Use common sense about most foods.